His bindings are in royal, private, and public collections around the world, including the British Library, London; the Bodleian Library, Oxford; and the Pierpont Morgan Library, New York, and have been shown in over 100 exhibitions since 1951. 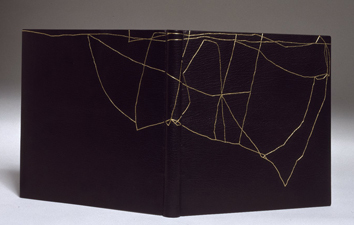 His distinctive mature style of design, of gold lines upon black leather, and his meticulous technique, drew some of the most significant book collectors internationally to commission work from him. Ivor Robinson has been described by book historian R.H. Lewis as 'one of the world's most highly regarded binders' and by the Times as one 'of the great bookbinders of the day'. 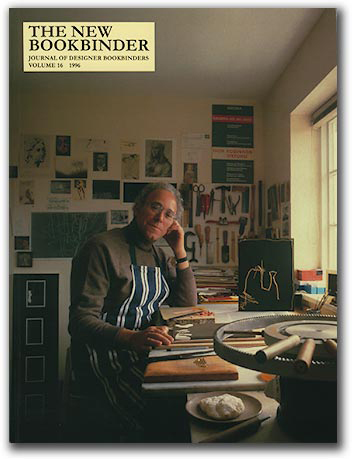 Ivor was elected a Fellow of the Guild of Contemporary Bookbinders in 1955 and President from 1968 to 1973 of the Designer Bookbinders. 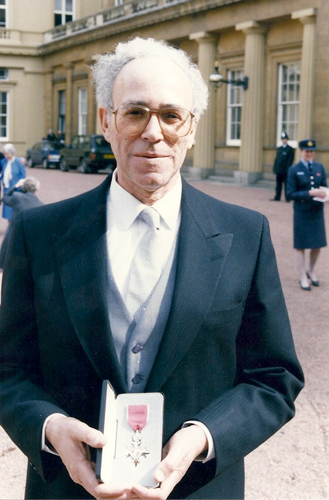 He was a triple medallist at the Prix Paul Bonet in Switzerland in 1971 and was awarded the MBE by Queen Elizabeth II in 1992. Ivor was born and raised in Bournemouth, his younger brother, Brian Robinson, also a bookbinder, still lives there. He was apprenticed at age 14 with bookbinder S. E. Bray & Co. He volunteered to enlist in the Navy during WWII, where he was present at D-Day, and returned to Bray's to finish his apprenticeship after the War. In 1946 he moved to Salisbury to work with binder Harry Bailey, eventually going into partnership with him. While in Salisbury he also taught bookbinding part time at Salisbury College of Art, where he met Olive Trask, whom he married 14 April 1952. They had two children, Hilary Robinson (1956 - ) and Martin Robinson (1962 - ). Ivor taught at the London School of Printing and Graphic Arts (now London College of Communication, part of the University of the Arts London), then in 1958 moved to Oxford to teach at the Oxford College of Technology, which became Oxford Polytechnic, now Oxford Brookes University. He retired from the Polytechnic in 1989 and was made an honorary fellow. A Robinson binding, The Illiad, was listed for $5000 in 2005 by Joshua Heller Rare Books, Inc., of Washington DC. A Robinson binding of Virgil's Georgics was listed by Thomas Goldwasser Rare Books, San Francisco, Winter 2013, for $13,500. He is survived by his wife, daughter, son, and brother.